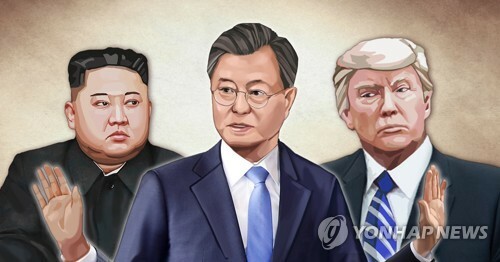 SEOUL, April 11 (Yonhap) -- North Korea's threat of impending nuclear and missile tests and the U.S. escalation of saber-rattling in response have raised tensions around the Korean Peninsula. But most experts here agree that chances are low that Washington will deliver on its threat of a pre-emptive attack, which would lead to a catastrophic war. 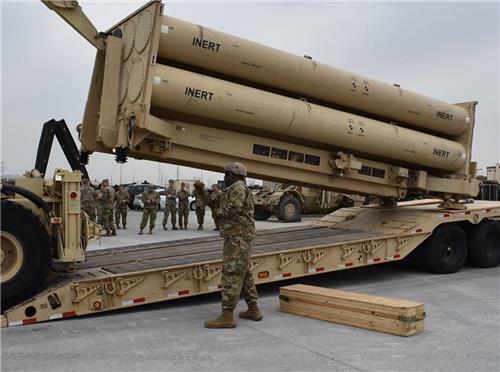 The recent U.S. missile strikes on Syria carried a clear warning for North Korea, but the dangerous regime armed with nuclear bombs and various missiles is a different case from Syria, apparently with little capability to retaliate, they said Tuesday. 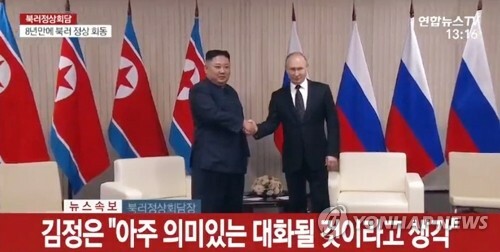 "I think a pre-emptive strike (on the North) is possible in words but impossible in reality," said Kim Yong-hyun, a professor at Dongguk University. 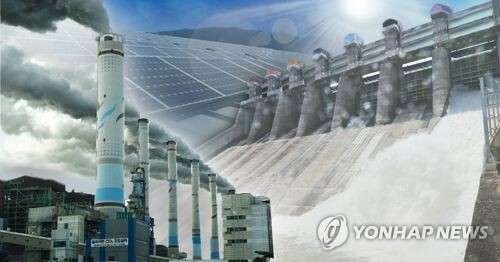 It would be far-fetched to attack the North, risking the belligerent country's revenge and with more than 200,000 American citizens residing in South Korea, an attack would be a huge burden for the U.S. government as well, he added. Yang Moo-jin, a professor at the University of North Korean Studies, echoed the view. "Chances of any ultimate measure like a pre-emptive strike are very low," he said. "In the case of such military action, the U.S. will have to evacuate its nationals in South Korea first." 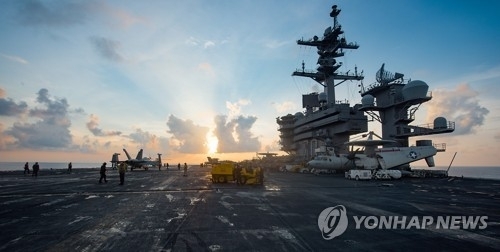 Yang regarded the Pentagon's abrupt decision to deploy the naval strike group led by the USS Carl Vinson aircraft carrier near the peninsula as aimed at putting more "psychological pressure" on Pyongyang. 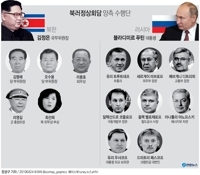 Park Hwi-rak, dean of the Graduate School of Political Science at Kookmin University, also said the return of the nuclear-powered supercarrier to the region is meant for "deterrence" rather than actual use of force, amid concerns about the unpredictable regime's strategic provocation. 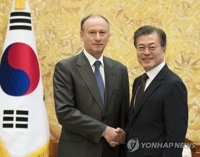 South Korean and U.S. officials believe the North is preparing for its sixth nuclear test and the firing of a long-range rocket. "A (possible) pre-emptive strike reported by the media is in fact a preventive strike," Park said. "Anyway, risk from that is so big." 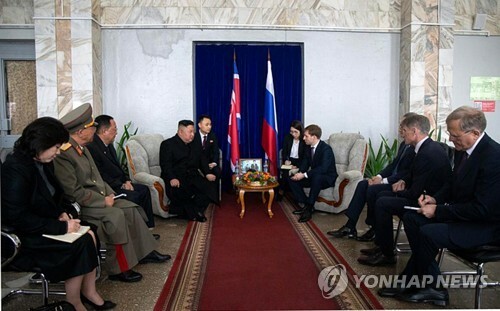 The pundits agreed that what's more worrisome is the possibility of accidental armed clashes on the peninsula, given the pattern of the North's provocation. They cited the spread of mistrust among the parties concerned. 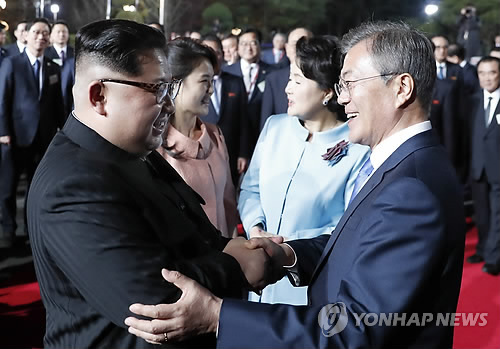 There is no formal, direct communication channel between the two Koreas, which remain technically at war since their 1950-53 Korean War ended in a ceasefire. U.S. President Donald Trump, who demonstrated his resolve to use military force if needed with the Syria operation, and his Chinese counterpart Xi Jinping failed to produce a significant breakthrough in ways to resolve the North Korea problem in their summit talks last week. "There is talk of a pre-emptive strike as an option. Declaring that strategic patience with North Korea is over, the Trump administration has left all options open. 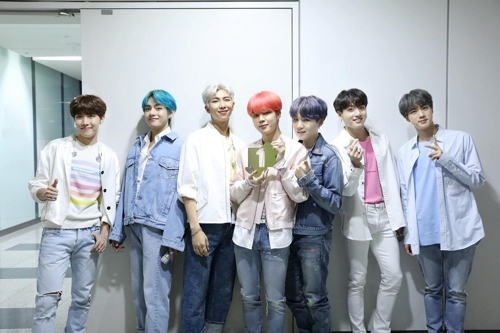 It also means dialogue is among the options," said Kim Dong-yup, a professor at the Institute for Far East Studies of Kyungnam University. In fact, Secretary of State Rex Tillerson has hinted at a shift to a rather dovish tone, stating the U.S. goal is the North's denuclearization, not a regime change. "We have been very clear that our objective is a denuclearized Korean Peninsula. We have no objective to change the regime in North Korea; that is not our objective," he said on ABC TV's "This Week" program after the Trump-Xi summit. 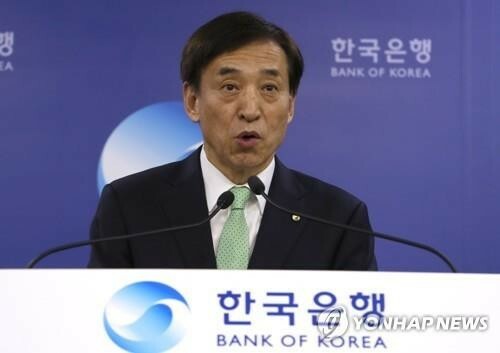 Wu Dawei, China's point man on Korea, visited Seoul this week and is expected to travel to Pyongyang as well. 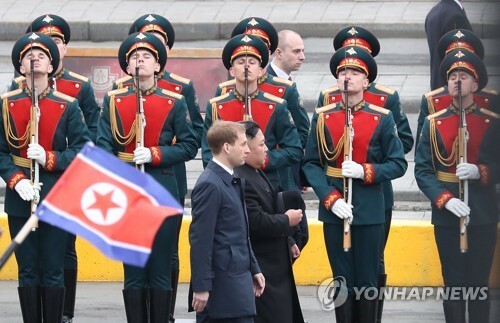 "Negotiations involving North Korea are in the interest of both the U.S. and China," said Kim Hyun-wook, a professor at the Korea National Diplomatic Academy. 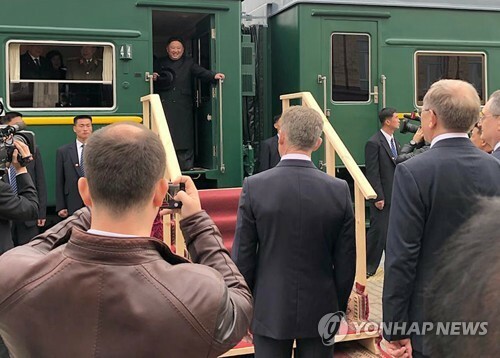 However, it would be a different story if the North presses ahead with another nuclear test, he said, adding Pyongyang will have to bear the brunt of tougher sanctions and heavy pressure.